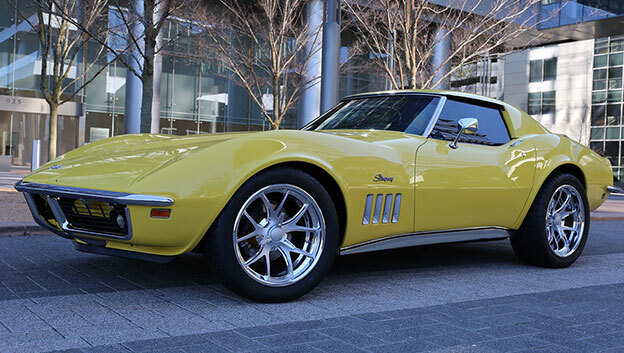 1969 Corvette Stingray updated with concave SL65 wheels. Scott Foord had a vision of how he wanted his '69 Stingray, and happily reported he nailed it with 18x8, 19x9 SL65 concave profile with silver ceramic paint applied the way he envisioned. 1957 Chevy Bel Air hardtop of Mr. Rick Sieg after adding new five spokes! 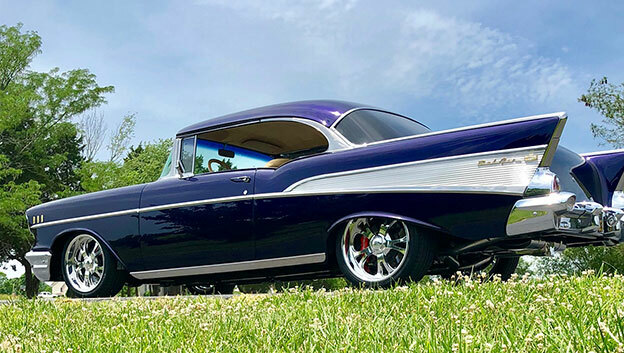 Rick's '57 Bel Air now rolling on new 18x7, 20x10 GT wheels.